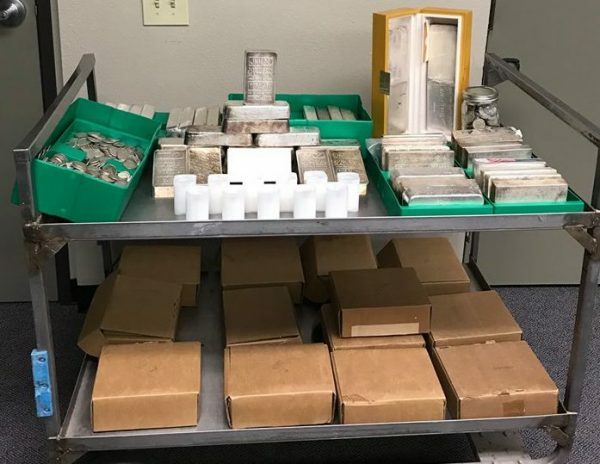 On Nov. 24, sheriff’s deputies took a burglary report from a man in rural Paso Robles over high-value silver bars and coins that were stolen from his home. The owner estimated the value of the stolen silver was more than a quarter million dollars, a sheriff’s office press release states. Detectives conducted an investigation, which led to the identification of an acquaintance of the victim as the suspect. Sheriff’s officials are withholding the suspect’s identity, but they say she is an adult female. It is believed the woman gained access to the location where the silver was being stored in the man’s home and stole it sometime in early November during the early morning hours. On Wednesday, detectives served a warrant at the woman’s home in rural Paso Robles and then determined another location where the stolen silver was being stored. Detectives recovered all of the stolen silver and returned it to its owner. An investigation into the case is ongoing. Sheriff’s officials plan to recommend a charge of burglary to the SLO County District Attorney’s Office. 3/4 of a million dollars in silver, and this person stored it in their home. I believe this is why God invented safety deposit boxes. Fools and their money are always soon parted. Wow! What did she look like? Worth two tons of silver?